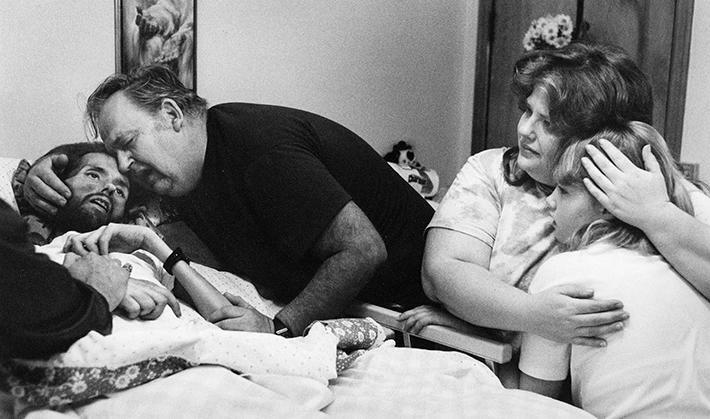 In November 1990 LIFE magazine published a photograph of David Kirby — his young body wasted by AIDS, his gaze focusing on something beyond this world — surrounded by anguished family members as he took his last breaths. 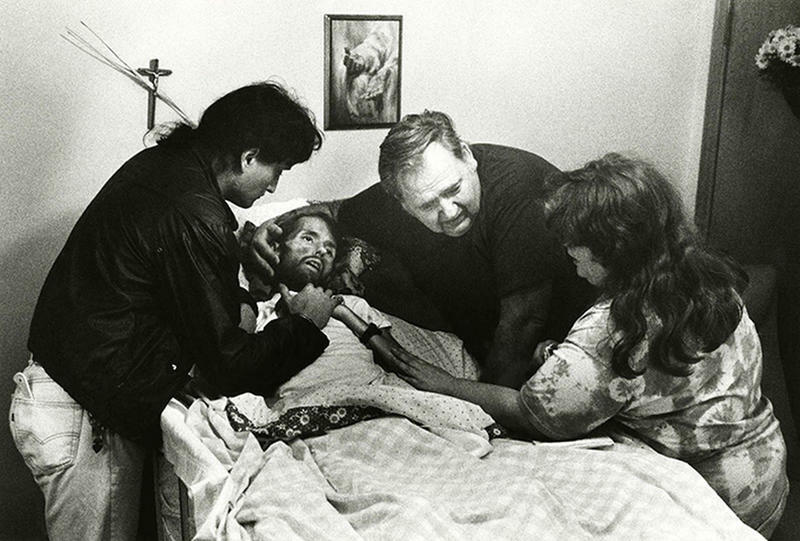 The haunting image of Kirby on his death-bed, taken by Therese Frare, a journalism student, quickly became the one image most powerfully identified with the HIV / AIDS epidemic that, by then, had infected millions of people (many of them unknowingly) around the world. 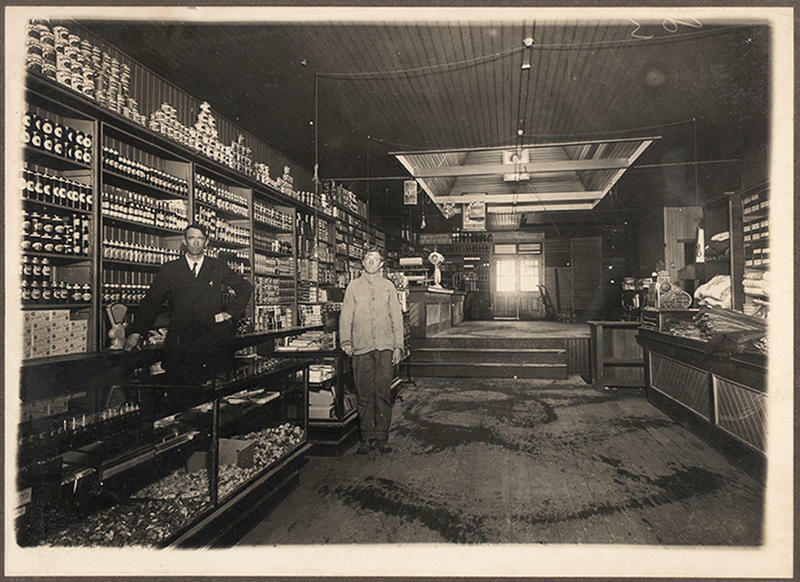 David Kirby was born and raised in a small Ohio town. He was a gay activist in the 1980s. It was during the late 1980s — while he was living in California, estranged from his family — that he found out that he had contracted HIV. He reached out to his parents and asked if he could come home; he said, he wanted to die with his family around him. The Kirbys welcomed their son back. When the photo was published by LIFE, the United States was shocked by such a graphic imagery of the disease. 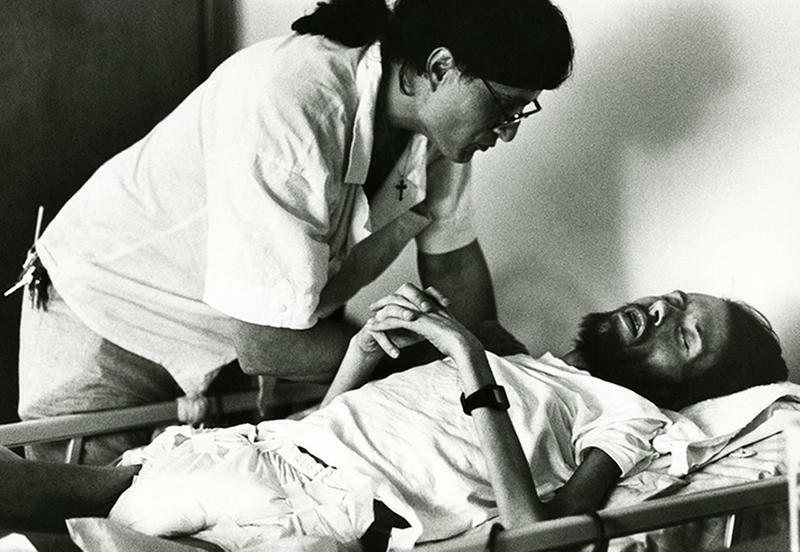 While the people knew that AIDS is fatal, many only thought of its effects in the abstract. AIDS was still thought back then to be a “gay” disease and the greater public was relatively uninformed about the disease. The image also helped much of the population to connect to the family’s grief at losing their son. “After a three-year struggle against AIDS and its social stigmas, David Kirby could fight no longer. As his father, sister and niece stood by in anguish, the 32-year-old founder and leader of the Stafford, Ohio, AIDS Foundation felt his life slipping away. David whispered: “I’m ready”, took a last labored breath, then succumbed”. 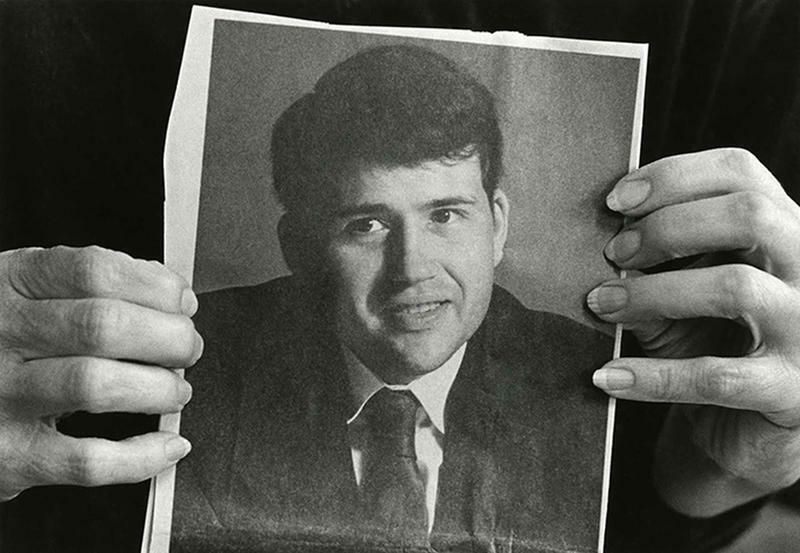 David Kirby died in April 1990, at age 32, seven months before LIFE published the photo. By some estimates, at least a billion people have seen the now-iconic Frare photograph that appeared in LIFE, as it was reproduced in hundreds media all over the world -- newspaper, magazine and TV stories -- focusing on the photo itself and, increasingly, on the controversies that surrounded it.